It is a common practice for pet owners to take their dogs or cats to the vet and have them vaccinated. It protects their furry friend from contracting common diseases and infection. Treating their pets allows the pet owners to have peace of mind, and the animals to live happier, healthier, and longer lives. As we often listen to our folks saying, “an ounce of care and prevention is equal to a pound of cure.” With this in mind, you set forth to go to the vet and just like a responsible pet owner, provide your pet the protection that vaccines can give. Then you suddenly remember: your pet is a hamster. Is vaccination possible? As a loving hamster owner, it is natural for you to want the best and the safest life possible for your pet. You hate the thought of your beloved animal having to suffer from diseases which are possible to prevent through vaccination. However, upon checking with the vet, you might get to know that there is currently no commercial vaccine available for hamsters. So, your biggest question afterward can be “how can I protect my pet?”. For years, research laboratories are using rodents for clinical testing and research. Amongst these are hamsters too. However, as of this writing, there is still no identified clinical vaccine that is individually available for hamsters. It is an uncommon practice to have hamsters vaccinated, and the United States Humane Society does not even recommend it. In rare cases when circumstances dictate that the hamster is given shots, like in the case of rabies, the vet will have to use shots which are not explicitly created for hamsters. In which case, the risk could be high because serious side effects can happen when injecting a vaccine to an animal other than the species it is available for. For this reason, giving shots to hamsters are frequently discouraged. It may be true that hamsters cannot receive shots for clinical prevention, but this certainly doesn’t mean that nothing can be done to protect them from common diseases. In general, hamsters tend to stay healthy. Unlike other animals, they have a lower chance of acquiring common infectious diseases since they stay indoors and spend most of the day in own enclosures. 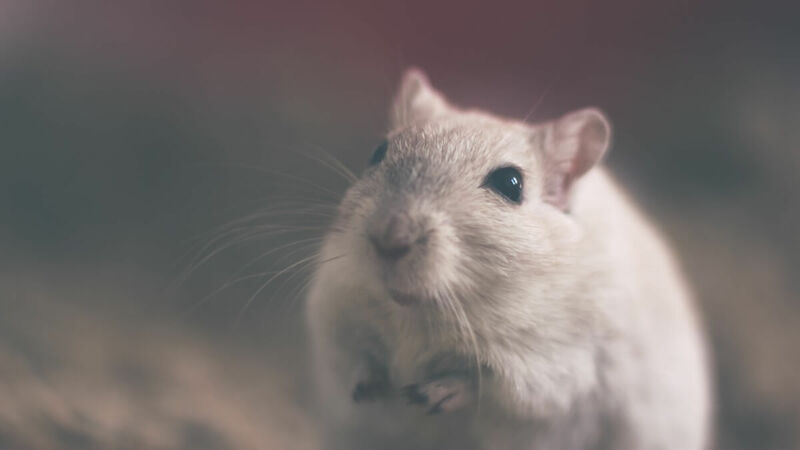 It is particularly important since most cases of hamster deaths originate from infections acquired from other sick hamsters, usually affecting those in pet stores, or through sick hamsters living in common enclosures and spreading the disease. For our part, there are specific measures we can follow to help lower the chances of our hamsters getting sick. Check out the list below for some of the most critical guidelines in keeping your hamsters healthy; even without shots. Just like for us humans, and all creatures for that matter, what we eat, and how much we eat, is equally important. If you observe how hamsters tend to finish and devour all the sunflower seeds before anything else on their feeding dish, it only shows that they too have food choices. They seem to prefer eating the fattening food first, but this doesn’t mean we should keep the supply for it moving. Remember that like us; our hamsters need different kinds of nutrients, and it’s up to us to provide them with the right food. An addition of fruits and vegetables to their diet can show wonders in keeping them healthy and fit. Likewise, they also need a steady serving of wholegrain, cereals, and bread. These are treats that these little fur babies enjoy best. Lastly, a little bit of protein like boiled or scrambled egg should complete the well-balanced meal. And of course, don’t forget the clean drinking water. Be mindful when choosing your hamster’s cage bedding. Some bedding materials such as cedar shavings may cause skin injuries and irritation because of the presence of cedar oil. The cage needs regular scrubbing with soap and water, and you must change the beddings regularly. This way, you can avoid diseases caused by bacteria accumulating overtime. Plus, your hammy is less likely to smell stinky if they live in a cage that is comfortable and clean. Have you ever noticed how the hamsters in pet stores appear unhappy and uncomfortable? It’s because they’re all crammed up in a single cage! Hamsters need exercise. They need to move, run, and play. It is to strengthen them and avoid obesity. Naturally, they need space to do all that. Keeping the cage in an area where there is adequate lighting, ventilation, and within your view will ensure that your pets are happy, healthy, and always safe. To avoid digestive problems and obesity, it will do well to provide your hamsters an opportunity to exercise. Provide them with toys that encourage movements such as wheels or things they can happily climb on. It will not only help keep them fit but will also prevent boredom. Even though they can’t get vaccinated, you have the option to get them regularly checked by a vet to make sure they are in the best of health. It is unfortunate that a species which has contributed significantly to medical and clinical research seems to have been left out when it comes to having a specifically created vaccine for them. As hamster owners, this should not dishearten us. There are still numerous ways we can do to significantly lessen the chances of our little furballs acquiring common infectious diseases. What do they need? A well-balanced diet, fresh, clean water, enough space to move around, enough play and exercise, and a nice, cozy and clean habitat. All these can do wonders in keeping our pets active and healthy. As they say, a healthy hammy is a happy pet. As pet owners, it’s up to us to make that happen.